As usual, we had nightly dancing in the Barn, and a Masked Ball, this year on Monday evening of war week. 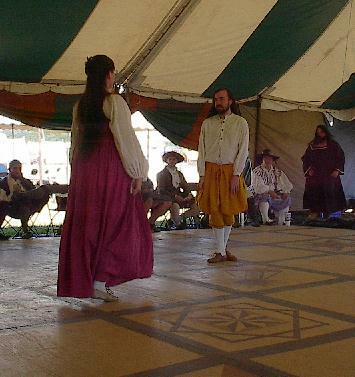 The best innovation of the war was the construction of a plywood floor for the dance tent. Philip of the Marche organized construction and did more than his fair share of the work. The Autocrats chipped in $2000, which we exceeded by about $200. A large number of volunteers helped construct the floor. 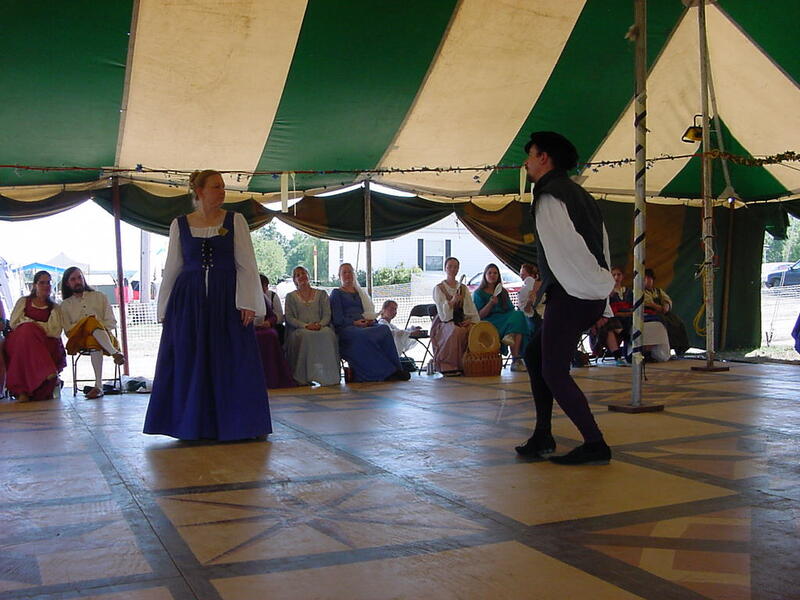 In addition to many classes second week, the Caroso Ball and a pre-1600 dance party were held in the new dance tent. We offered to mail out advance copies of the dance music (organized by Juliana), and received 13 requests. The overall dance coordinator was Joshua ben Chaim haLevi. 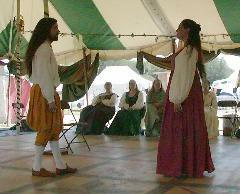 Or you can return to the Pennsic Dance information page. Another angle of the same. Credit: Adele des Fontaines. Mara and Del dancing a galliard, while Gregory steals Mara's chair to flirt with Alejandra. Credit: Joshua ben Chiam haLevi. 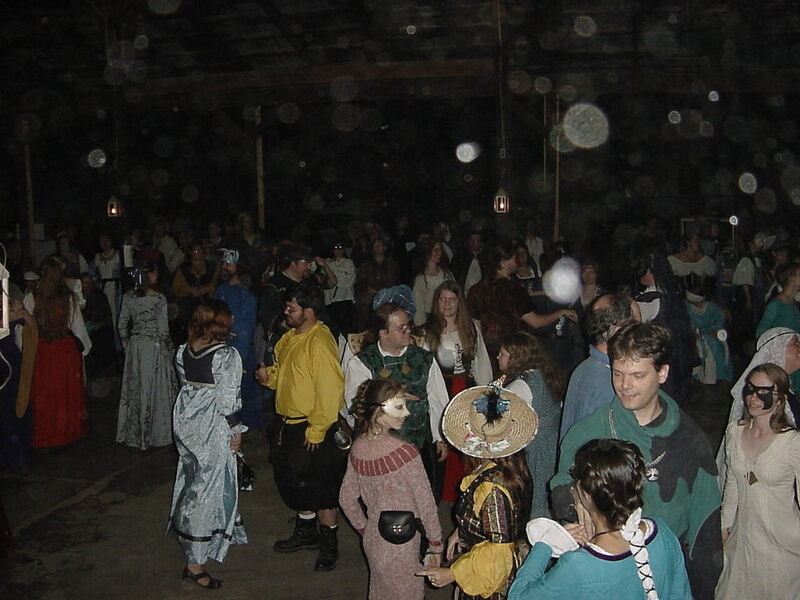 The crowd at the Masked Ball. Credit: Del. 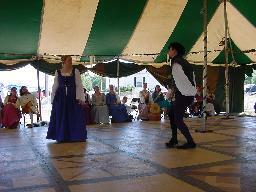 The Ball will begin at 9pm Monday evening and will last until at least Midnight. Please be prompt.